Today is Good Friday. It is the day when we remember the suffering and the sacrifice of Jesus Christ. 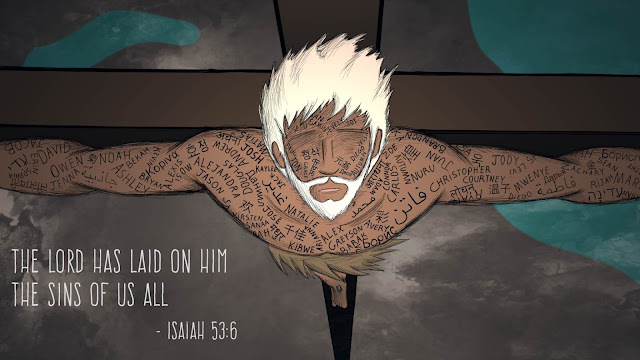 We remember His death that paid the penalty for our sin. Long ago God promised to send a Savior. 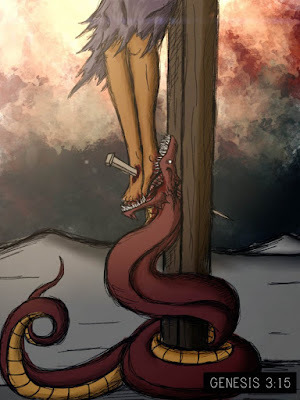 In Genesis 3:15 God promised that an offspring of the woman would bruise the head of the serpent, but the serpent would only bruise the heel of the offspring. And that is exactly what happened. On the cross Jesus died and took the punishment that you and I deserve. He died in our place. But His death was not permanent. He overcame death and rose again (and we will celebrate that on Easter)! By overcoming death, Christ defeated Satan. One day Satan's final defeat will come, and he will be thrown into the lake of fire, where he will stay for all of eternity. Those who trust in Jesus as Savior receive forgiveness of sins and everlasting life! Do you know Jesus as your Savior? Dear friend, if you do not yet know Jesus, set your eyes on Him and believe.